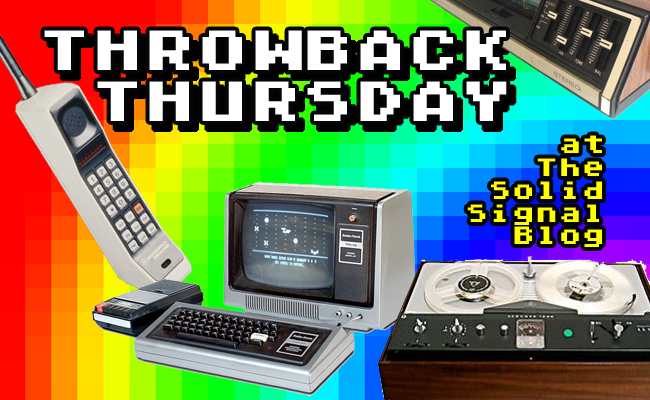 THROWBACK THURSDAY: The end of broadcast TV? The internet never forgets. So, if things in the broadcast world don’t go the way I expected, there won’t be any escape for me. This article I posted in 2013 wasn’t the first or last time I forecasted that up to 75% of broadcasters could simply give up and go home by the end of 2017. The FCC has been on a quest to allocate more space to cell internet, and they want to pull some more of the frequencies that are now used for TV watching. The tool they’ve been using is called a “reverse auction” and it means that the FCC will buy back broadcast licenses from broadcasters who are willing to sell. Back when this all started, a lot of people, myself included, thought the reverse auction would be so successful that broadcast TV would nearly disappear from smaller markets. Of course back then we were just emerging from the shadow of a massive recession and things looked very different. Today, people are spending more than ever before and looking at the recent election, broadcast TV has had a fabulous 12 months. So far progress in the reverse auctions have been slow, and it’s looking like the government will need to keep raising its bids in what seems to be the last round of auctions. None of the results have been made public but it’s pretty clear I was wrong again. 2017 won’t be the end of broadcast TV, and there’s a lot more TV coming. For once, I’m pretty glad I completely missed the mark on something. See, I’m glad broadcast TV is stronger than I once thought. Streaming is great, and satellite is awesome, but I think we’d be giving up something really important if we moved away from traditional TV broadcasting. Portable TVs work great in emergencies, and the quality of broadcast TV is better than the same programs seen on cable or satellite. As TVs get bigger and 4K broadcasting is pretty much nowhere to be seen, a top-quality picture on the shows you want to watch is super-important. You won’t see your favorite shows looking any better than if you see them coming through an antenna. Can one antenna feed a whole building? NICE AND EASY: What’s the longest cable run for an amplifier?